What toys are best for your child? It seems like an easy enough question, but you don't want to buy your child a toy that isn't safe or that he isn't going to play with. In addition to considering your child's interests and asking what he would like, one of the most important things to keep in mind is the age recommendations for the toy. For example, for younger children, it will help you avoid toys with small parts and those that pose choking hazards. But it can also help you avoid buying a toy that won't hold your child's attention and get him easily frustrated. So don't buy your 7-year-old a Lego Mindstorms Robotics Invention System, even if you think he would have fun playing with a robot. A child who is under 10 to 12 years old likely won't be able to build or program the robots that come with this set. And instead of having a toy that he will enjoy, it will likely end up sitting in the box, the back of the closet, or on a shelf somewhere. Children under 3 tend to put everything in their mouths. Avoid buying toys intended for older children which may have small parts that pose a choking danger. Specifically, you should avoid toys with small parts that can fit inside a choke test cylinder or no-choke testing tube, which measures 1 1/4 inches wide by 2 1/4 inches long and simulates the size and shape of a young child's throat. Never let children under age 8 years play with uninflated or broken balloons because of the choking danger. Avoid marbles, balls, and games with balls that have balls with a diameter of 1.75 inches or less. These products also pose a choking hazard to young children. Avoid toys with small magnets, magnetic pieces, or loose magnets, as they can be swallowed. Unfortunately, if two magnets connect together after they are swallowed, they can cause an intestinal blockage or more serious problems. Children at this age pull, prod and twist toys. Look for toys that are well-made with tightly secured eyes, noses, and other parts. Look for household art materials including crayons and paint sets, marked with the designation "ASTM D-4236." This means the product has been reviewed by a toxicologist and, if necessary, labeled with cautionary information. You should continue to avoid toys with magnets, including building or play sets, at this age. If buying a toy gun, be sure the barrel or the entire gun is brightly colored so that it's not mistaken for a real gun. Check toys regularly for small parts, breakage and potential hazards, including chipped or peeling paint. Damaged or dangerous toys should be repaired or thrown away. Watch for toy recalls and quickly remove recalled toys. Encourage your kids to not put their toys in their mouth (although it is harder for infants and younger toddlers). When buying a bicycle, scooter, skates, or other sporting goods, buy a helmet and appropriate safety pads too, and make sure the child wears them. Teach them to put toys away when they're finished playing so they don't trip over or fall on them and so that younger siblings can't get to inappropriate toys. Only let adults use battery chargers. Recommends against the home use of trampolines. Recommends that children under 16 shouldn't ride on 4-wheel All Terrain Vehicles and advises a ban on the sale of all 3-wheeled ATVs. Advises that children are at big risk of getting hurt from non-powder guns, like BB guns, pellet guns, air rifles, and paintball guns. It is easy to spot some unsafe toys, like those with sharp edges or small parts, but loud toys are an under-recognized hazard to children. Remember that some toys, even those recommended for young children, can produce noise at a level that could damage your child's hearing. These types of toys include cap guns, musical toys, toy phones, horns, sirens, and even squeaky rubber toys, which can produce noise as high as 90 to 120 decibels. According to the American Speech-Language-Hearing Association, "When held directly to the ear, as children often do, a noisy toy actually exposes the ear to as much as 120 dB of sound, a damaging dose -- the equivalent of a jet plane taking off. Noise at this level is painful and can result in permanent hearing loss." Although you likely should avoid toys that sound loud, if your child gets any toys that make noise, be sure that he doesn't put them up to his ear, which can cause even more damage to his hearing. In addition to following age recommendations on toys, you should observe the ratings on any video games that your child wants. Remember that games rated T -Teen have content that is unsuitable for children under age 13. It is better to stick with games that are rated either EC - Early Childhood or E - Everyone, although even games rated E - Everyone can have some violence, comic mischief and/or mild language. 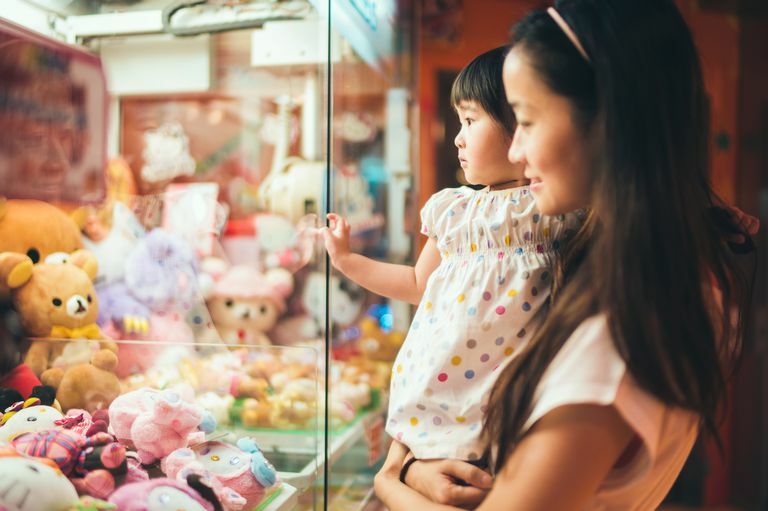 What are the latest toy safety risks? Unfortunately, you often just have to look at the trendiest toys. Hoverboards are a leading source of injuries this year. From reports that they can explode when charging to lots of ER visits with falls and broken bones, hoverboards should likely make your next do not buy gift list for your kids. AAP Policy Statement. All-Terrain Vehicle Injury Prevention: Two-, Three-, and Four-Wheeled Unlicensed Motor Vehicles. AAP Policy 2000 105: 1352-1354. AAP Policy Statement. Injury Risk of Nonpowder Guns. AAP Policy 2004 114: 1357-1361. CPSC. Toy Safety Shopping Tips.